MLB Pipeline this morning released its midseason farm system rankings, and to some surprise, the Dodgers checked in at No. 8. It’s notable because this comes after a trade season that saw them move the likes of Rylan Bannon, Yusniel Diaz, Dean Kremer, James Marinan, Luke Raley — all Top 30 prospects prior to being moved. It also saw Walker Buehler, a consensus Top 15 prospect preseason, graduating from the prospect ranks. Finally, the MLB Pipeline list doesn’t include Caleb Ferguson, who has exhausted his rookie status. Fortunately, the progress of players like Gavin Lux, Dustin May and Will Smith have helped to make up for not only guys getting traded, but some guys regressing (Yadier Alvarez, Mitchell White). Still, it’s a somewhat surprising ranking, especially because the Dodgers failed to sign their most recent 1st-round pick J.T. Ginn. Though they (kinda) made up for that by signing one of the best international amateur free agents in Diego Cartaya. It’s just one publication, but the Dodgers have been consistently a Top 10 (and sometimes Top 5) organization in terms of farm system strength. This, all while being a legitimate World Series contender since 2013. That is the goal for every organization. It’s not just to have a top farm system or to win division titles every year, it’s to do both. 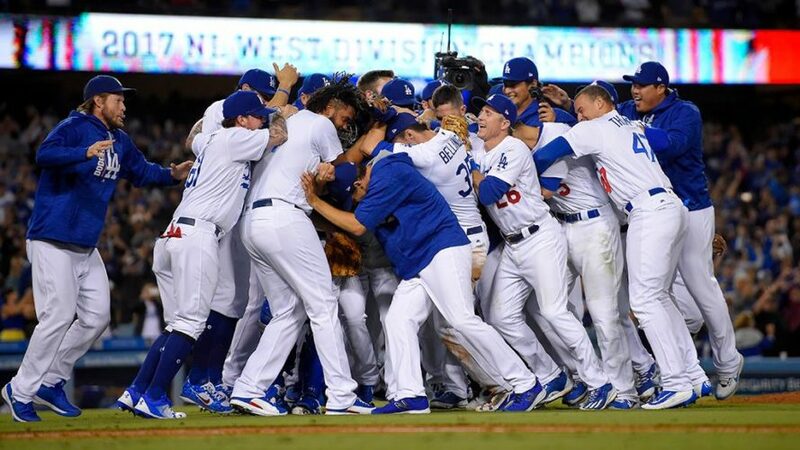 And the Dodgers have been unmatched in that regard over the last half-decade plus. Over the years, they’ve drawn from their farm system heavily to help build their MLB squad. The aforementioned Buehler comes to mind, as do Cody Bellinger, Joc Pederson, Corey Seager and Julio Urias — all of whom were either global top prospects (Seager), global Top 5 prospects (Urias) or global Top 10-15 guys (Bellinger, Buehler, Pederson) before they graduated. *-Never played in the organization. That’s a lot of prospects. But outside of maybe Alvarez (who was here for six weeks and didn’t make one plate appearance), are you really missing anyone? Eflin and Heaney don’t really count since they were traded almost as soon as they were acquired and the team didn’t have a chance to evaluate them within the organization. You could make a case for Montas, but he’s just now starting to break out. He was also used to acquire Rich Hill, who has been great in his time as a Dodger, so it’s hard to be too upset about that. The Dodgers have done a great job deciding who to trade and holding onto either premium prospects or prospects who have been key contributors to the MLB team in recent years. There are very few guys from that list above I’m wishing were still in the org. 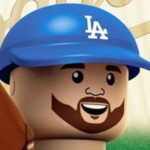 The Dodgers being one of the richest teams in the sport doesn’t hurt their ability to be a championship contender while maintaining a strong farm system. It definitely helps, but the results are also a testament to the scouts — on the amateur, minor-league and major-league sides — player development and the rest of the decision-makers. Stan Kasten said in no uncertain terms that this was the goal when he (and the rest of the new ownership) took the reigns of the org back in 2012. It has taken a little time to get exactly to where they wanted to be, but this is the result, and this should be the norm for the Dodgers for the next half-decade or longer. Having smart guys like Andrew Friedman, Farhan Zaidi, Josh Byrnes and company in charge is proving to be a great luxury to have so far.